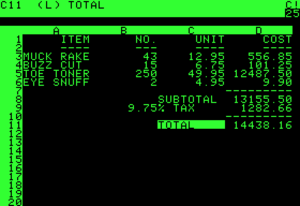 VisiCalc (for "visible calculator")  was the first spreadsheet computer program for personal computers, originally released for the Apple II by VisiCorp. It is often considered the application that turned the microcomputer from a hobby for computer enthusiasts into a serious business tool, prompting IBM to introduce the IBM PC two years later. VisiCalc is considered the Apple II's killer app. It sold over 700,000 copies in six years, and as many as 1 million copies over its history. The Apple II is an 8-bit home computer, one of the first highly successful mass-produced microcomputer products, designed primarily by Steve Wozniak. It was introduced in 1977 at the West Coast Computer Faire by Jobs and was the first consumer product sold by Apple Computer, Inc. It is the first model in a series of computers which were produced until Apple IIe production ceased in November 1993. The Apple II marks Apple's first launch of a personal computer aimed at a consumer market – branded towards American households rather than businessmen or computer hobbyists. Initially developed for the Apple II using a 6502 assembler running on the Multics time sharing system,    VisiCalc was ported to numerous platforms, both 8-bit and some of the early 16-bit systems. In order to do this, the company developed porting platforms that produced bug compatible versions. The company took the same approach when the IBM PC was launched, producing a product that was essentially identical to the original 8-bit Apple II version. Sales were initially brisk, with about 300,000 copies sold. Multics is an influential early time-sharing operating system which is based on the concept of a single-level memory. Virtually all modern operating systems were heavily influenced by Multics – often through Unix, which was created by some of the people who had worked on Multics – either directly or indirectly. When Lotus 1-2-3 was launched in 1983, taking full advantage of the expanded memory and screen of the PC, VisiCalc sales ended almost overnight. Sales declined so rapidly that the company was soon insolvent. Lotus Development purchased the company in 1985, and immediately ended sales of VisiCalc and the company's other products. VISICALC represented a new idea of a way to use a computer and a new way of thinking about the world. Where conventional programming was thought of as a sequence of steps, this new thing was no longer sequential in effect: When you made a change in one place, all other things changed instantly and automatically. Daniel Singer "Dan" Bricklin, often referred to as “The Father of the Spreadsheet”, is the American co-creator, with Bob Frankston, of the VisiCalc spreadsheet program. He also founded Software Garden, Inc., of which he is currently president, and Trellix Corporation, which is currently owned by Web.com. He currently serves as the chief technology officer of Alpha Software. 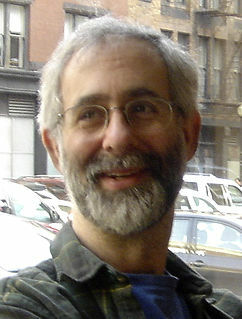 Robert M. Frankston is the co-creator with Dan Bricklin of the VisiCalc spreadsheet program and the co-founder of Software Arts, the company that developed it. Software Arts was a software company founded by Dan Bricklin and Bob Frankston in 1979 to develop VisiCalc, which was published by a separate company, Personal Software Inc., later named VisiCorp. with the years of experience we had at the time we created VisiCalc, we were familiar with many row/column financial programs. In fact, Bob had worked since the 1960s at Interactive Data Corporation, a major timesharing utility that was used for some of them and I was exposed to some at Harvard Business School in one of the classes. Bricklin was referring to the variety of report generators that were in use at that time, including Business Planning Language (BPL) from International Timesharing Corporation (ITS) and Foresight from Foresight Systems. However, these earlier timesharing programs were not completely interactive, nor did they run on personal computers. A report generator is a computer program whose purpose is to take data from a source such as a database, XML stream or a spreadsheet, and use it to produce a document in a format which satisfies a particular human readership. VisiCalc was unusually easy to use and came with excellent documentation; Apple's developer documentation cited the software as an example of one with a simple user interface. Observers immediately noticed its power. Ben Rosen speculated in July 1979 that "VisiCalc could someday become the software tail that wags (and sells) the personal computer dog". For the first 12 months it was only available for the Apple II, and it became that platform's killer app. Many bought $2000 Apples to run the $100 software   —more than 25% of those sold in 1979 were reportedly for VisiCalc  —even if they already owned computers. Steve Wozniak said that small businesses, not the hobbyists he and Steve Jobs had expected, purchased 90% of Apple IIs. Apple's rival Tandy Corporation used VisiCalc on its own Apple IIs. Other software supported its Data Interchange Format (DIF) to share data. One example was the Microsoft BASIC interpreter supplied with most microcomputers that ran VisiCalc. This allowed skilled BASIC programmers to add features, such as trigonometric functions, that VisiCalc lacked. Bricklin and Frankston originally intended to fit the program into 16k memory, but they later realized that the program needed at least 32k. Even 32k was too small to support some features that the creators wanted to include, such as a split text/graphics screen . However, Apple eventually began shipping all Apple IIs with 48k memory following a drop in RAM prices, which enabled the developers to include more features. The initial release supported tape cassette storage, but that was quickly dropped. At VisiCalc's release, Personal Software promised to port the program to other computers, starting with those that used the MOS Technology 6502 microprocessor,  and versions appeared for the Atari 800 and Commodore PET, both of which could be done easily because those computers used the same processor as the Apple II, and large portions of code could be reused. The PET version, which contained two separate executables for 40 and 80-column models, was widely criticized for having a very small amount of worksheet space due to the developers' inclusion of their own custom DOS, which used a large amount of memory (the PET only had 32k versus the Apple II's available 48k). By 1982 VisiCalc's price had risen from $100 to $250. Several competitors appeared in the market, notably SuperCalc  and Multiplan,  each of which added more features and corrected deficiencies in VisiCalc, but could not overcome its market dominance. A more dramatic change occurred with the 1983 launch of Lotus Development Corporation's Lotus 1-2-3, written by a former Personal Software/VisiCorp employee, Mitch Kapor, who had written VisiTrend and VisiPlot. 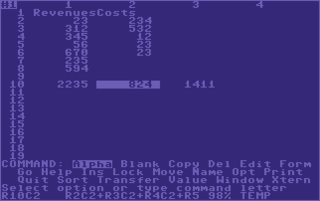 Unlike the PC version of VisiCalc, 1-2-3 was written to take full advantage of the PC's increased memory, screen and performance. Yet it was designed to be as compatible as possible with VisiCalc, including the menu structure, to allow VisiCalc users to easily migrate to 1-2-3. Triumph of the Nerds , A documentary hosted by Robert X. Cringely that featured the creators of VisiCalc and their contribution as the first killer app for the personal computer. A disk operating system is a computer operating system that can use a disk storage device, such as a floppy disk, hard disk drive, or optical disc. A disk operating system must provide a file system for organizing, reading, and writing files on the storage disk. Strictly speaking, this definition does not apply to current generations of operating systems, such as versions of Microsoft Windows in use, and is more appropriately used only for older generations of operating systems. In marketing terminology, a killer application is any computer program that is so necessary or desirable that it proves the core value of some larger technology, such as computer hardware, a gaming console, software, a programming language, a software platform, or an operating system. In other words, consumers would buy the hardware just to run that application. A killer app can substantially increase sales of the platform on which it runs. 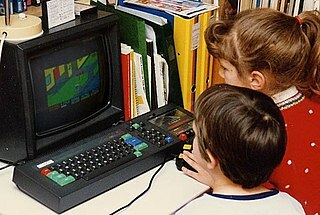 The KoalaPad is a graphics tablet produced from 1983 by U.S. company Koala Technologies for the Apple II, TRS-80 Color Computer, Atari 8-bit family, and Commodore 64, as well as for the IBM PC. VisiCorp was an early personal computer software publisher. Its most famous products are Microchess, Visi On and VisiCalc. Dan Fylstra is a pioneer of the software products industry. Following the introduction of the IBM Personal Computer, or IBM PC, many other personal computer architectures became extinct within just a few years. Sorcim was an early start-up company in Silicon Valley, founded in June 1980 by Richard Frank, Paul McQuesten, Martin Herbach, Anil Lakhwara, and Steve Jasik - all former Control Data Corporation employees working in the Language Group in Sunnyvale, CA. Jasik left company early on, to develop the MacNosy product for the Macintosh. Home computers were a class of microcomputers that entered the market in 1977, that started with what Byte Magazine called the "trinity of 1977", and which became common during the 1980s. They were marketed to consumers as affordable and accessible computers that, for the first time, were intended for the use of a single nontechnical user. These computers were a distinct market segment that typically cost much less than business, scientific or engineering-oriented computers of the time such as the IBM PC, and were generally less powerful in terms of memory and expandability. However, a home computer often had better graphics and sound than contemporary business computers. Their most common uses were playing video games, but they were also regularly used for word processing, doing homework, and programming. Peter R. Jennings is a Canadian physicist, scientist, inventor, software developer, computer chess programmer, and entrepreneur. He is best known for creating MicroChess, the first microcomputer game to be sold commercially in 1976. ↑ "A sidebar to the article "Ten Years of Rows and Columns" published in Byte, issue 13/1989, pp. 326-328". Yeah, we called it all sorts of things – electronic ledger, electronic blackboard, visible calculator – that’s what we finally based the name, VisiCalc, on. ↑ Hill, Charles (1 Jan 2014). Strategic Management: Theory & Cases: An Integrated Approach. Cengage Learning. p. C-177. ISBN 9781305142725. ↑ "Nintendo's Leap into the Unknown". Next Generation . No. 23. Imagine Media. November 1996. p. 15. ↑ "SLIDESHOW: CIO Blast from the Past - 40 years of Multics - Slideshow - CIO". ↑ "Historical Background of Spreadsheets". ↑ "The Idea" . Retrieved 7 February 2017. ↑ "Whole Earth Software Catalog". ↑ "Dan Bricklin, Inventor of the Electronic Spreadsheet". Low End Mac. November 7, 2006. Retrieved July 13, 2016. 1 2 "VisiCalc: User-Defined Problem Solving Package". The Intelligent Machines Journal. 1 (9): 22. June 11, 1979. ISSN 0199-6649. The formal introduction of VisiCalc is scheduled for the National Computer Conference, being held June 4–7, in New York City. ↑ Meyers, Joe; Tognazzini, Bruce (1982). Apple IIe Design Guidelines (PDF). Apple Computer. p. 22. 1 2 3 Stanton, Jeffrey; Wells, Robert P. Ph.D.; Rochowansky, Sandra; Mellid, Michael Ph.D., eds. (1984). The Addison-Wesley Book of Atari Software. Addison-Wesley. p. 214. ISBN 0-201-16454-X. 1 2 Brandel, Mary (1999-08-02). "PC Software Transforms The PC". PC Magazine. p. 62. 1 2 McMullen, Barbara E. & John F. (1984-02-21). "Apple Charts The Course For IBM". PC Magazine. p. 122. Retrieved 24 October 2013. ↑ Markoff, John (1982-07-05). "Radio Shack: set apart from the rest of the field". InfoWorld. p. 36. Retrieved 10 February 2015. 1 2 Barry, Tim (1981-10-05). "SuperCalc Spread-Sheet Simulator from Sorcim Corp". InfoWorld. p. 30. Retrieved 1 January 2015. ↑ Williams, Gregg; Moore, Rob (January 1985). "The Apple Story / Part 2: More History and the Apple III". BYTE (interview). p. 166. Retrieved October 26, 2013. 1 2 Reed, Matthew. "VisiCalc". TRS-80.org. Retrieved 23 January 2015. 1 2 Langdell, James (1985-08-06). "VisiCalc Production Ends". PC Magazine. p. 33. Retrieved 28 October 2013. ↑ Tommervik, Allan (March 1982). "What Price Software? / Part 2 of The Great Arcade/Computer Controversy". Softline. p. 10. Retrieved 15 July 2014. 1 2 Caruso, Denise (1984-04-02). "Company Strategies Boomerang". InfoWorld. pp. 80–83. Retrieved 10 February 2015. ↑ Inc, Ziff Davis (17 April 1984). "PC Mag". Ziff Davis, Inc. Retrieved 7 February 2017– via Google Books. ↑ "1984 TRS-80 Catalog RSC-10 page 21". Radio Shack Computer Catalogs. Tandy/Radio Shack. Retrieved December 7, 2016. ↑ "The Most Popular Atari Program Ever". Softline. March 1983. p. 44. Retrieved 28 July 2014. ↑ Ciraolo, Michael (Oct–Nov 1985). "Top Software / A List of Favorites". II Computing. p. 51. Retrieved 28 January 2015. ↑ Ramsdell, Robert E (November 1980). "The Power of VisiCalc". BYTE. pp. 190–192. Retrieved 18 October 2013. ↑ Green, Doug (August 1980). "VisiCalc: Reason Enough For Owning A Computer". Creative Computing. p. 26. Retrieved 18 October 2013. ↑ Budge, Joseph H. (July–August 1980). "VISICALC: A Software Review". Compute!. p. 19. Retrieved 25 October 2013. ↑ Kattan, Joseph (June 1984). "Product Reviews: VisiCalc". Antic . 3 (2): 80. Retrieved April 15, 2011. ↑ "Public recognition of Dan Bricklin's work". www.bricklin.com. Retrieved 2018-03-19. ↑ Babcock, Charles (8 November 2006). "What's The Greatest Software Ever Written?". InformationWeek . UBM. Grad, B. (2007). "The Creation and the Demise of VisiCalc". IEEE Annals of the History of Computing. 29 (3): 20–20. doi:10.1109/MAHC.2007.4338439. Campbell-Kelly, M. (2007). "Number Crunching without Programming: The Evolution of Spreadsheet Usability". IEEE Annals of the History of Computing. 29 (3): 6–8. doi:10.1109/MAHC.2007.4338438. TED Talk – "Dan Bricklin: Meet the inventor of the electronic spreadsheet"
TEDx Talk – "A Problem That Changed The World | Dan Bricklin | TEDxBeaconStreet"